SuiteApprovals, SuiteAnalytics & More New Features to Look Forward To. 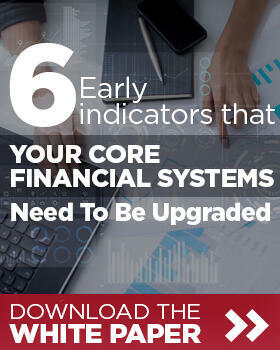 We previously created a blog post on the sleek, new NetSuite dashboard - including its new look and improved features. Check that post out here. Now we’re going to run you through some of the other new and notable enhancements that come along with NetSuite’s new update, including updates on SuiteApprovals, SuiteAnalytics Workbooks, Weekly Timesheets, and VAT reports. SuiteApprovals now supports vendor bill and purchase order record types, in addition to journals and engineering change orders. Using SuiteApprovals, you can now create approval rules for purchase order and vendor bill records. Create a rule using the total line amount as a basis and then selecting and building an approval routing type. This can be created based on employee hierarchy or based on a custom approval chain. The second method is by specifying an approval chain regardless of the total amount on the record. For vendor bill records, you can specify exception criteria to execute within the approval workflow. There are also new types of approvals that allow you to work more efficiently based on the record types. There are times when you may find yourself running on a tight deadline. You need a report to be approved quickly, and you don’t have time to keep sending reminder emails to move the report down the chain of command. This is when you need the Super Approval. Super Approval is a capability by which an employee, who is designated as a Super Approver, can approve and finalize, or reject a record. The Super Approver’s action bypasses the approval chain in the running approval rule, so there’s no need to keep waiting for that one person who never answers their emails. The role of the Super Approver is set on the employee record. That way, any employee or team in urgent need of a record’s prompt approval can contact the Super Approver directly with details and a link to the record. Introducing an additional feature for creating approval rules for all supported record types. A Skip Approval can be applied to any rule that has the Route Approvals Based on amount setting Enabled. Approver’s Approval Limit option under the Approval Routing section of the rule record. approval limit relative to the record’s amount. That approver’s action determines the final approval or rejection of the record. SuiteApprovals now allows you to reach a wider audience than ever before with multi-language support. You can now create and approval reports in multiple languages. The next update we’re running you through is an improvement on a beta, which was released with NetSuite 2018.2. Currently, NetSuite offers saved searches and reports. This takes the aesthetics of the reports and the flexibility of the saved searches to create the ultimate tool for extensive report building. 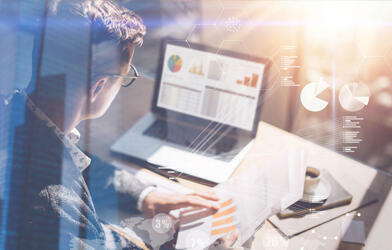 While a version of SuiteAnalytics Workbooks was released with 2018.2, NetSuite has since developed it based on feedback from its users and added a variety of new functionality to meet users’ needs and streamline the process. They also greatly improved on some parts that were lacking last time around. Formula Fields are Now First Class (They are now fully supported and are a major benefit for Saved Searches). NetSuite timesheets also received some upgrade in NetSuite 2019.1. In order to limit unnecessary labour when working with timesheets, NetSuite has also added the Automatic Creation of Weekly Timesheets. This feature is especially useful for Professional Services teams, who rely heavily on weekly timesheets for time-tracking purposes. Tax season is just around the corner - thankfully NetSuite 2019.1 comes with some new features that will max tax season a little more bearable. Tax Return Templates are now editable! This feature is extremely important for Customers with subsidiaries that are required to record VAT but were stuck using templates that did not support local laws and government standards. Templates can now be edited to comply with any required standard or layout. The process which customers go through to close their accounting period is now more simplified than ever. Customers now have the ability to go through the mandatory automated calculations in one swift step rather than multiple. 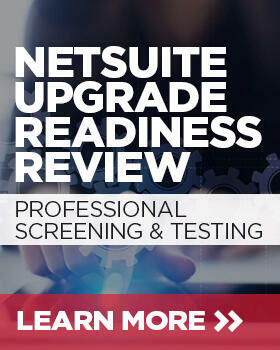 Do you need training or customization for NetSuite? Lucky for you, GURUS Solutions is the implementation partner that does it all. Our team of skilled and knowledgeable professionals is always prepared to answer any questions you may have about you can use NetSuite to its full advantage. If you need any help learning how to use these new NetSuite features or are in need of a professional to customize them to fit your company’s needs, then we are the gurus for you! These are just some of the new features that are aimed at facilitating and streamlining your NetSuite experience. To learn about even more features, you can view the full NetSuite 2019.1 release notes here.